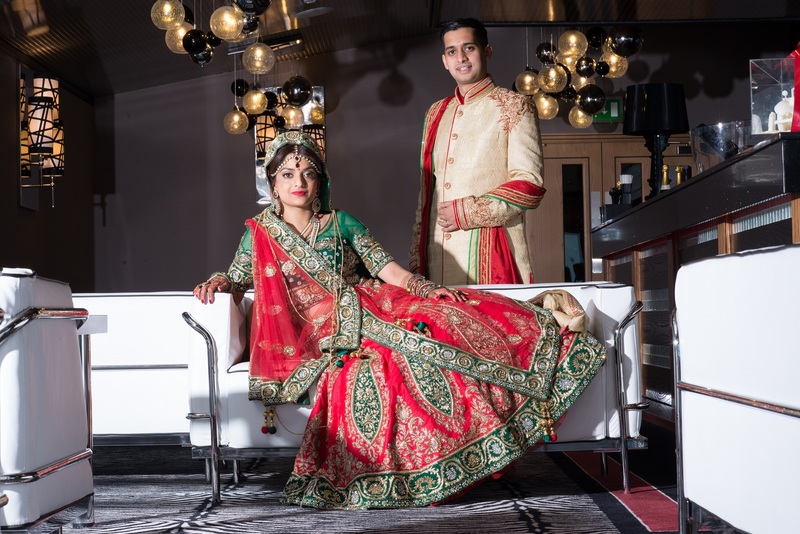 The colour of Asian wedding dresses is one of the most notable differences to their western counterparts, and many Asian cultures and regions opt for the colour red. Symbolising good luck, joy, prosperity and celebration, Asian brides often wear red on their special day, and the colour can feature in more than just the dress itself. In Islamic culture the colour green is associated with paradise – a passage from the Quran describes paradise as a place where people “will wear green garments of fine silk” – and so the bride in Muslim ceremonies can often be seen wearing green. And in Japan, before the red kimono is worn by the bride after the ceremony, she can often be dressed in white, as a symbol of purity and maidenhood. And it’s not just the colours that can be symbolic. In Vietnamese and Chinese culture women are represented by a phoenix and men a dragon. These images can be reflected in the embroidery of the wedding outfits, adding subtle symbolism in the form of beautiful embellishment. So now you have some of the background, here are three examples of utterly fabulous Asian wedding dresses, to make you think twice about white being the only option. In Indian culture, the bride will often be dressed in a midriff-baring blouse, a skirt and a scarf, all in sumptuous red silk. The outfits are lavish, spectacular and highly embellished. Because of this they are often extremely heavy too! In the Korean Peninsula the traditional gown is a ‘hanbok’, which comes in a variety of bright colours, with the colour indicative of attributes such as status and age. A tightly-fitting jacket combined with a voluminous high-waisted skirt creates an unmistakable silhouette that is distinctive to this part of the world. And for Pakistani weddings, which are often held over three to five separate ceremonies, you will see the bride wearing three to five different outfits! Yellow is traditional for the Mehndi; bright colours and gold embroidery are common at the Nikah; and for the last main event, the Walima, the dress is often chosen by the groom’s family. If you are looking for a venue which can embrace all cultures and make your wedding the very best it can be, then why not get in touch with our wedding planners at Dallas Burston Polo Club Tel: 01926 811 111 or visit our wedding area on our website. 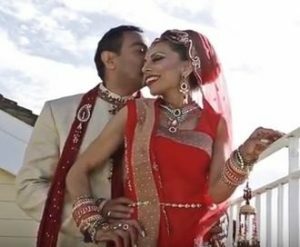 Take a look at Pushi and Sanjays wedding here which took place at Dallas Burston Polo Club.